17 times TT winner, unquestionable Mountain Course legend Dave Molyneux will embark upon a new challenge at TT 2019, as he joins forces with up coming, rising three wheeling talent Harry Payne. Lead three wheeling newcomer of TT 2018 alongside Michael Jackson, the ambitious Payne’s performances didn’t go unnoticed from astute roads aficionados, countless fans and most of all TT maestro Molyneux. 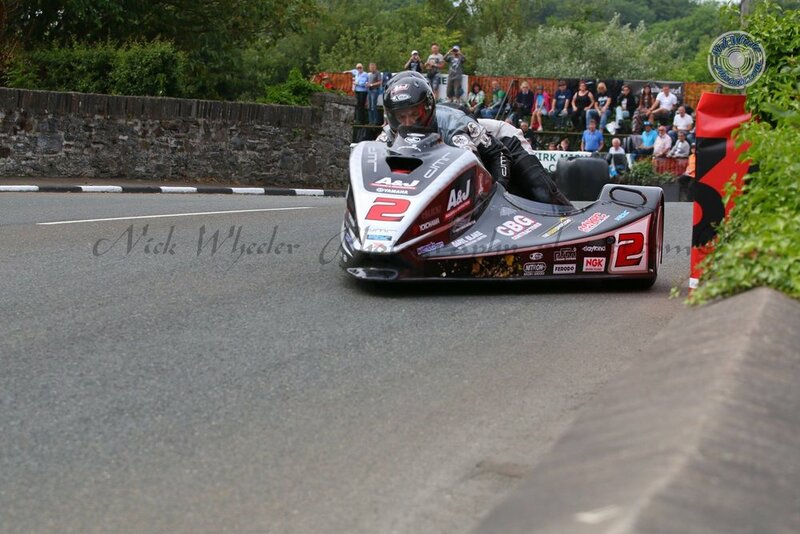 Although TT 2019 will mark just his second two week stint on the fabled Mountain Course, it wouldn’t at all be a surprise if Payne joins the podium finishers circle on more than one occasion in June. Driver Molyneux, closing in on thirty years since his first TT triumph, is still as hungry and determined as ever to claim more event success. Established for many as the greatest Sidecar TT racer of his generation, tens of his fellow drivers consider him as the greatest three wheeling TT exponent of all time. Continuing to show in recent times strong pace alongside fellow Manxman Dan Sayle, you can never ever discount ‘Moly’ from contending for race wins. Holding a supreme, collective knowledge of the Mountain Course, he’s certain to strongly contend again in June alongside new passenger Payne, who is eager to showcase his potential alongside one of the TT’s most respected, acclaimed and successful exponents.